You may find that going to the chiropractor is useful for relieving your back pain now and then. You may have even heard that you would feel better if you visited the chiropractor regularly throughout the year. But have you heard that it’s good to start regular chiropractic visits as an infant? Seeing a chiropractor while your bones are still developing is even better than seeing one after they have already formed. Chiropractic visits throughout childhood ensure that the spine develops straight, and it encourages good posture, among other things. Does your baby cry three or more consecutive hours per day? This can be a symptom of colic , a condition of infancy that occurs in one in four newborns ages one week to 6 months. And you’ve probably already guessed that colic has been relieved by chiropractic adjustments. In this article about the top 10 reasons parents take babies to the chiropractor, we see that chiropractic also helps babies with good spinal posture, Irritable Baby Syndrome , and overall wellbeing. And it’s not just conjecture. This study done in Denmark in 1999 shows real results after chiropractic adjustments in colicky babies—hours of crying were reduced by 1 ½ hours more than in babies treated only by a colic drug. The medical establishment has always held that colic is a digestive problem, but chiropractic’s approach focuses on the nerve endings housed in the spinal column. In another study , reported in 2012, chiropractic treatment improved colic symptoms whether or not parents were told their infant was being treated with a drug or spinal manipulation, proving that parental reporting did not influence the results. This news report from 2010 shows two baby boys who found relief from colic at their local chiropractor, further displaying the power of infant chiropractic. Chiropractic throughout childhood is even more beneficial than just in infancy. Chiropractic ensures good posture, improves ability to concentrate, helps behavioral disorders, encourages good brain and nerve development, and identifies scoliosis early enough to reduce its impact. It also helps with digestive problems, which is especially helpful in children with food allergies, and helps stop bed wetting. If you are a parent, you know that sometimes you will try anything to make your child stop feeling pain or to help his body develop correctly. And what better way than something that is chemical-free and homeopathic? What do chiropractors say about treating infants? Aside from its assistance with chronic conditions like colic and Irritable Baby Syndrome, chiropractors offer correction of little spines that have become misaligned during birth. If the infant spine is misaligned, this makes the baby more susceptible to illness. This is the case because the spine houses the spinal cord, which is the core of the nervous system. It makes sense that if the nervous system isn’t fully functioning, then the baby’s body isn’t functioning at optimum capacity. The same is true of adults. Btu the thing is, if you start your baby on chiropractic corrections in infancy, chances are his development will be better than the average. 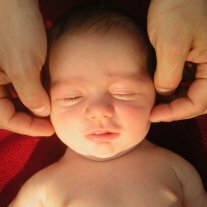 This holistic care website sheds more light on chiropractic in infancy. Does your baby get chiropractic care? Spinal manipulation in infants can do a lot toward making their lives easier, especially if your baby struggles with excessive fussiness. And not only that, but correcting spinal misalignment in infancy can keep your baby’s nervous system functioning at its best throughout his life. Do you take your baby to a chiropractor? Have you seen improvement with fussiness or indigestion with chiropractic? It’s always good to hear someone else’s perspective, but we can’t hear it unless you leave a comment. Just type it into the box below, and we’ll answer you right away! Is Your Purse Breaking Your Back? Yes, you read that right—your purse can cause plenty of back pain. Of course we don’t mean that your evening clutch will bring on damaging muscle spasms. But a heavy shoulder bag can. In fact, your risk of injury increases with the weight of your purse. It all comes down to physics. If your purse is too heavy, it will place extra pressure on your shoulder and neck muscles, leading to tension headaches and worse all the way down the back. And it’s not just a purse problem—men carry bags too. 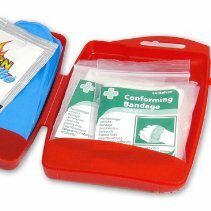 But I need to be prepared! Sure, you want to be prepared for everything from an accident to a sugar crash, but why don’t you check out what all that extra weight does to your back and see if you still need it. Carrying a heavy bag over one shoulder—especially the same shoulder every time—causes your gait, or balance, to be thrown off, forcing muscles not designed for it to compensate. Such undue strain only makes things worse, and this article details even more ways that heavy bags affect he spine. But there are ways to reduce the load and still have what you need. How do you go light but still have it all? First of all, if you live in rural areas or cities lacking public transit systems, you probably often ride in a car. Use it. 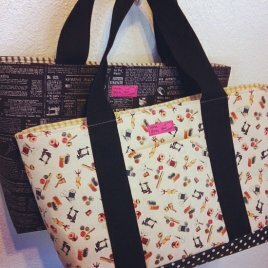 Try to put things you don’t need all the time in one big bag that stays in the car, and put only what you need for your current activity in the purse. In fact, a good rule of thumb is to never carry more than 10% of your body weight, and some doctors recommend no more than 5 pounds with a purse. Not sure what weight you have? Go put it in the bathroom scale. Now that you know how heavy your day bag should be, consider the following points. Look for bags with wide straps, because these will distribute the weight better and protect the shoulder nerves. Periodically switch shoulders to even out the weight. Another great idea is to switch to a smaller purse. If it’s not big, you can’t fill it up beyond what is healthy. And if these strategies don’t work, check out these exercises to strengthen your muscles, or this article with even more ideas on how to displace the weight your purse is causing. 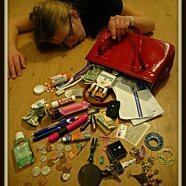 How heavy is your purse? Heavy purses, or day bags, will eventually cause damage to your back if you don’t change your carrying habits. Even minimal changes can make things better, perhaps even prevent a headache. That being said, what are you doing to keep your purse from straining your back? Your input will allow other readers to see that they are not alone, even encourage them to make changes. If you are reducing your daily load, what things do you find you can’t do without? Which items are best left in the car? We will be sure to answer your comment, so leave one now.